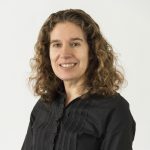 Paula Baraitser is a Consultant in Sexual Health at King’s College Hospital, Senior Lecturer in Global Health at King’s College London and a director of the online sexual health provider SH:24. Paula is a trustee of the Faculty of Sexual and Reproductive Health Care and chair of its international affairs committee. She currently holds an fellowship in improvement science from the Health Foundation where she is researching online contraceptive service provision. Contact the ESC Central Office at info@escrh.eu to contact Paula Baraitser. Your email will then be forwarded.